Willow works so well to relieve the pain and inflammation of toothaches, spasming muscles, tension headaches, strains, sprains, arthritis, and back pain, and a veritable plethora of aches and pains due to the salicylates it contains. In response to injury, prostaglandins signal the body to feel pain and to inflame. Salicylates inhibit the body’s production of prostaglandins.The salicylates in willow are similar to aspirin, but take different metabolizing pathways. They appear to have a longer effect than aspirin because of this difference in metabolization. Among the many constituents in willow, apigenin, a naturally occurring plant flavonoid shown to possess anti-inflammatory, antioxidant and anticancer properties is contained in the bark. Epidemiologic studies suggest that a diet rich in flavonoids is related to a decreased risk of certain cancers, particularly cancers of the breast, digestive tract, skin, prostate and certain hematological malignancies. It has been suggested that apigenin may be protective in other diseases that are affected by oxidative process such as cardiovascular and neurological disorders. Did you know that willow has been shown to exert anti-proliferative effects, and to induce apoptosis in colon, lung, stomach, and prostate cancer cells? Apoptosis means cell self destruction. That’s good medicine! When cells’ information is damaged due to free radical oxidative stress, drug usage, chemical poisoning, stress, long term inflammation, etc, cancer can easily enter and wreak its loathsome mayhem. I hate cancer with a passion that is unequal to anything else. Had I had this information 13 years ago, perhaps my mother would be alive today. I don’t know. The fact is I know this now and am passing it on to you all. The upshot is that I incorporate willow into my everyday use, as these cancers run in my family. It’s best to destroy cancer cells before they hook up and form tumors. That’s when stuff gets real. 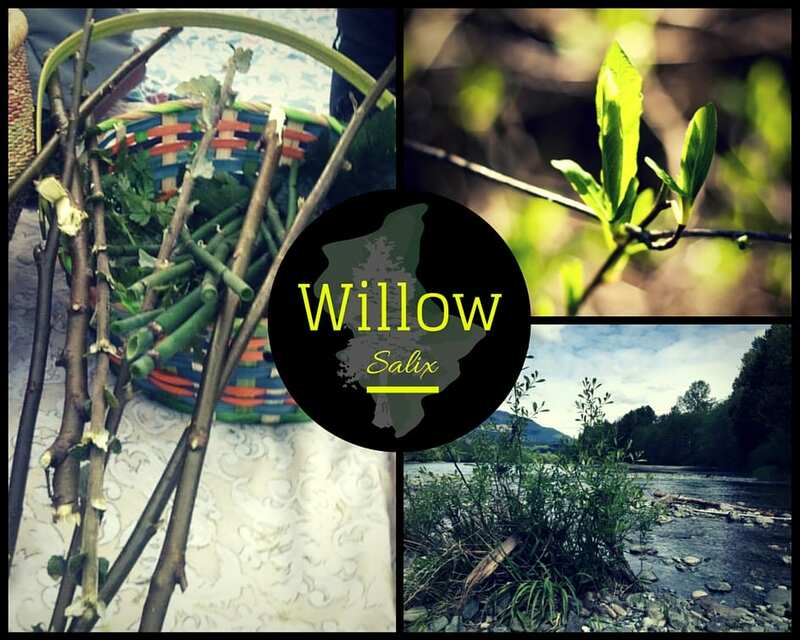 Willow can be utilized as a tea, syrup, honey, tincture and medicinal oil. Not everyone will be willing to take it in tea form as it tastes very bitter. Spring and fall are best times to harvest the bark of willow. It’s bark scraping time! I make a willow honey in the fall and spring, and ingest about ½ to 1 teaspoon several times a week for cancer protection. Willow needs steeping for 5-6 weeks in the honey. If, after steeping, the honey becomes too thick to strain, simply place the lidded jar in a sauce pan, fill with water, and gently heat for about 10 minutes. This will render the honey liquid enough to easily strain from the willow. Externally, willow helps heal and relieve the discomfort of sores, cuts, and burns. Use as a wash or compress with cooled decoction. 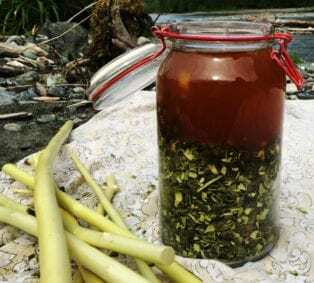 To make a decoction, put 2 cups of water in a saucepan, add about ¾ oz of dried willow bark, bring to a boil, turn down to medium simmer, and let simmer 10-15 minutes. Strain and let cool. A washcloth can be dipped into the willow decoction, wrung out, and placed on the affected area. Let sit for up to 20 minutes at a time, and repeat as necessary.